NASHVILLE, Tenn. (September 14, 2016) – Country traditionalist Gene Watson, who recently released his 33rd studio albumReal.Country.Music., will perform his No. 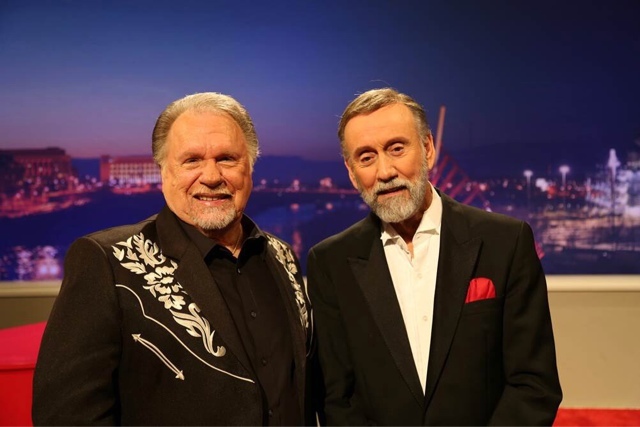 1 smash hits “Fourteen Carat Mind” and “Farewell Party” on “Ray Stevens’ Nashville” this Saturday night, September 17 at 8:30/7:30c on RFD-TV. Visit rfdtv.com to find RFD-TV in your area. After five decades in the music business and more than 75 charting singles, Watson delivers an authentic, soulful album with Real.Country.Music.Real.Country.Music. also charted on Billboard Top Country Albums and remains one of the best selling albums in the Classic Country genre onAmazon.com. Be sure to follow Gene Watson on Facebook or visitGeneWatsonMusic.comto orderReal.Country.Music and purchase tickets to upcoming shows. Oct. 06 Ryman Auditorium - Nashville, Tenn.
Jan. 20 Lincoln Theatre - Marion, Va.
Jan. 27 Ameristar Casino - Kansas City, Mo.